A good rule of thumb is that if you can’t tear the paper, it can’t be recycled. 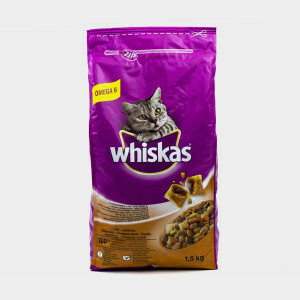 Most pet food bags are lined with paper and plastic layers that have been sealed together and should not be recycled. If the layers can be separated, do so. If the pet food bag is only made out of plastic, it can be recycled with other plastic bags. Find out more. You can send in Open Farm Pet Food packaging to the Open Farm Recycling Program, which is a free recycling program through TerraCycle. Find out how to mail in these pet food bags. You can send in Wellness® CORE and Complete Health flexible plastic pet food packaging to the Wellness® Pet Food Recycling Program, which is a free recycling program through TerraCycle. Find out how to drop off or mail in these pet food bags. You can send in Guardian MoRE Bars pet food packaging to the Guardian Pet Food Recycling Program, which is a free recycling program through TerraCycle. Find out how to mail in this pet food packaging. Use these bags to contain thorny yard waste that can’t go in the compost bin and would otherwise puncture a plastic garbage bag. Keep pet food bags around the house, so you can wrap and ship breakable items in the thick paper or plastic packaging.